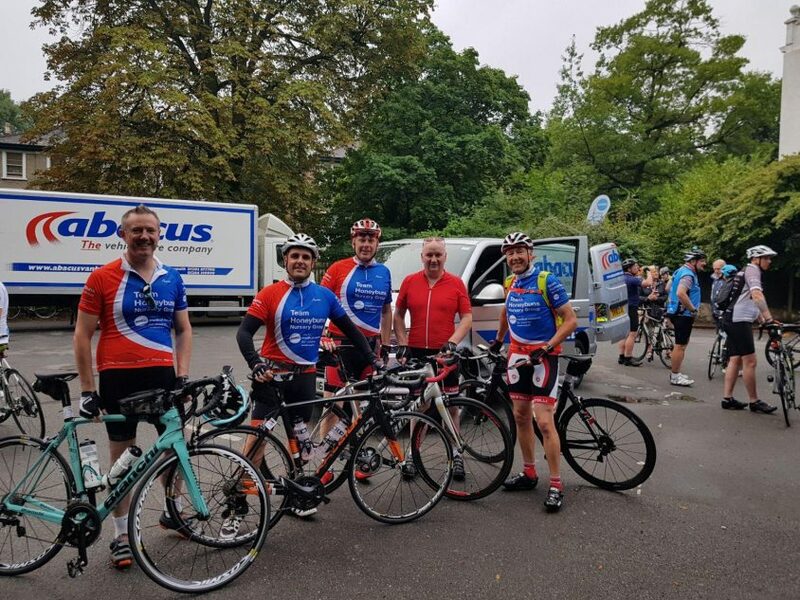 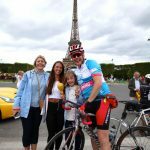 A team of four budding cyclists and enthusiastic fundraisers from Honeybuns Nursery Group joined the annual Action ‘London to Paris’ bike ride alongside 90 other cyclists riding from London to Paris between 19-23 July 2017. 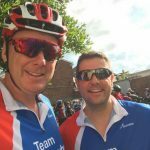 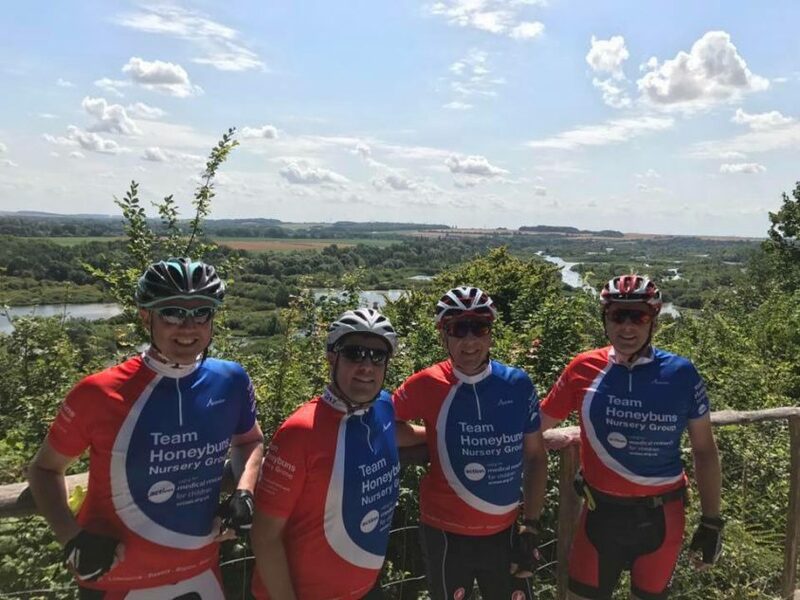 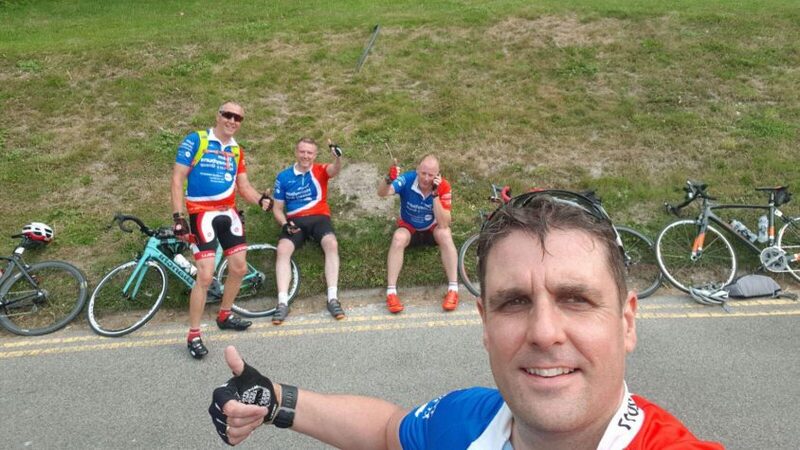 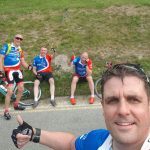 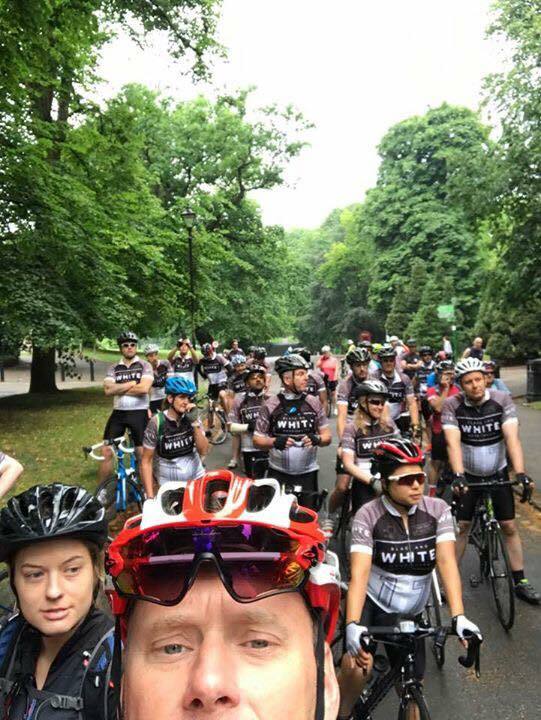 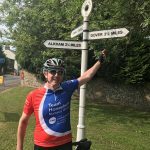 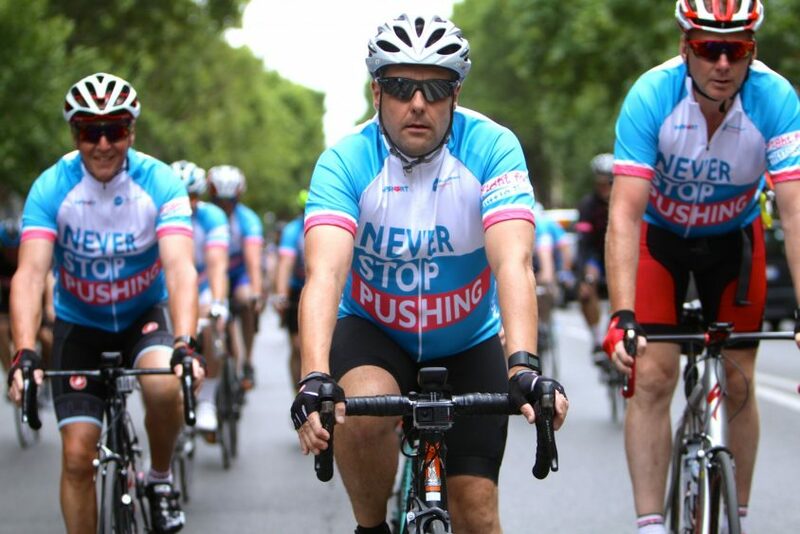 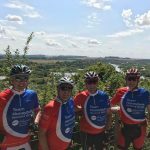 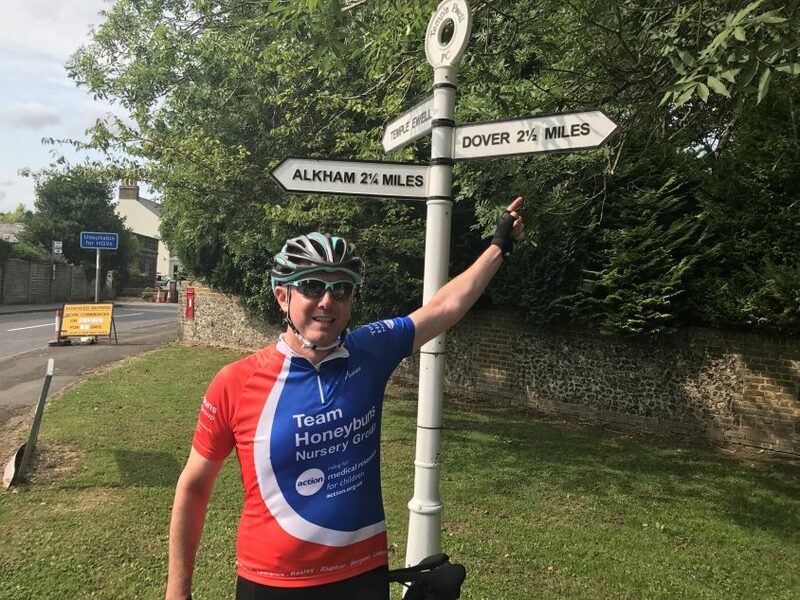 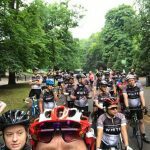 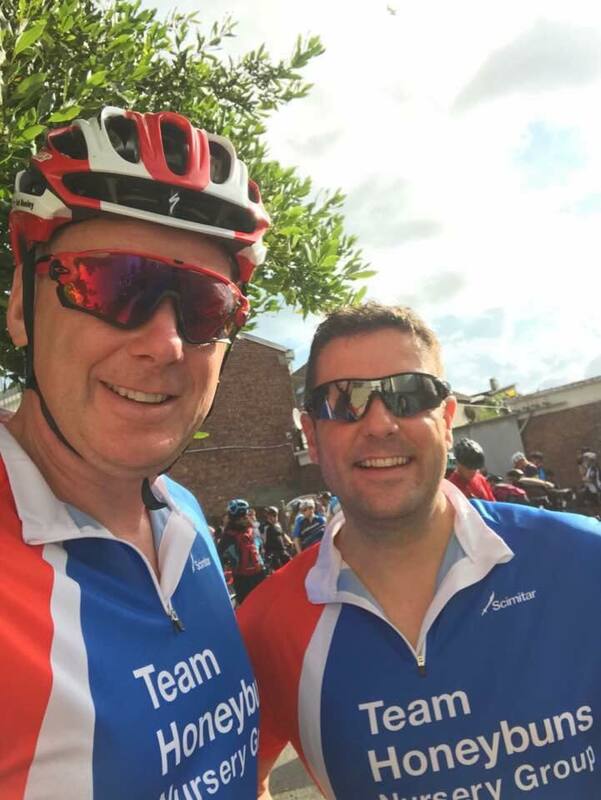 Beginning at Crystal Palace, this challenge took the Honeybuns team through the beautiful and rolling countryside of Kent down to the white cliffs of Dover. 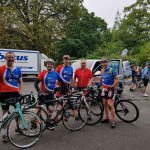 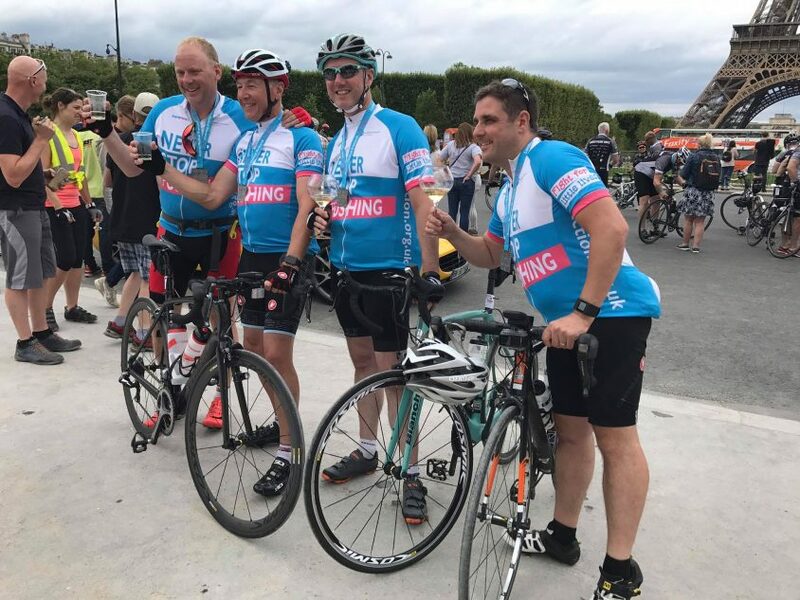 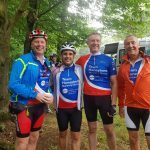 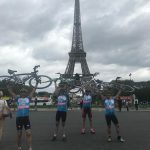 The team then crossed by ferry to Calais and followed the quiet routes through Northern France, enjoying rolling landscapes, quaint villages and historic towns down into Paris for the finish. 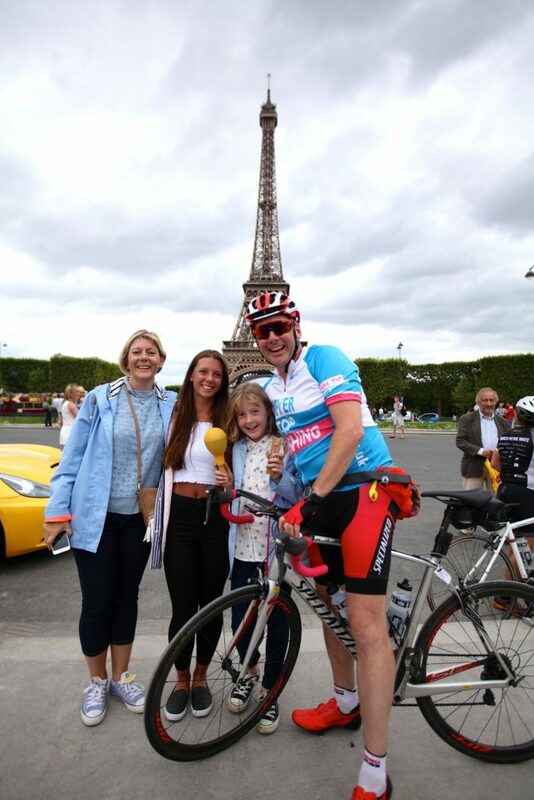 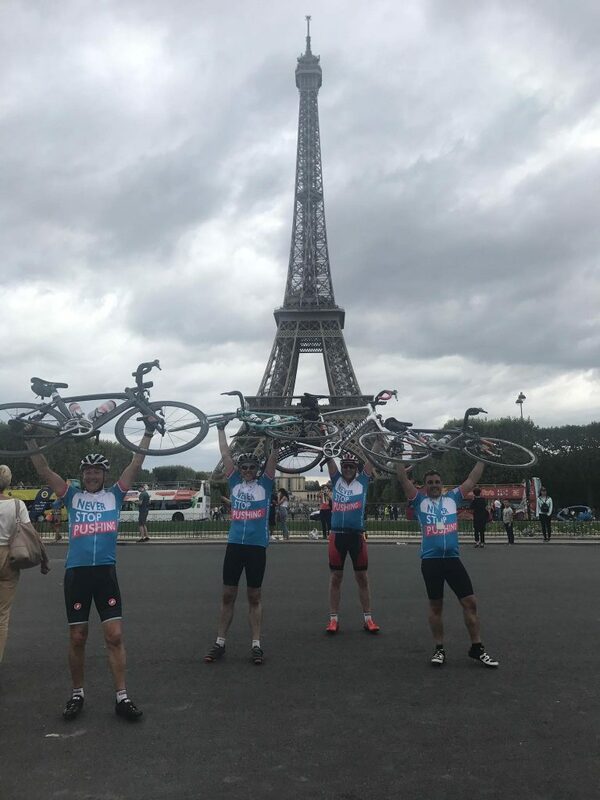 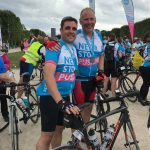 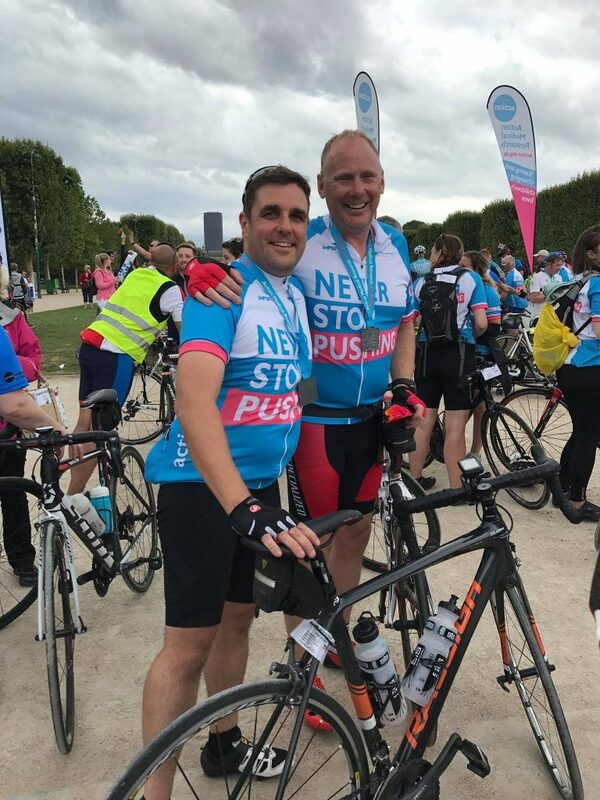 The ride – which culminated at the Eifel Tower on the final day of the 2017 Tour de France – raised over £160,000 for Action Medical Research. 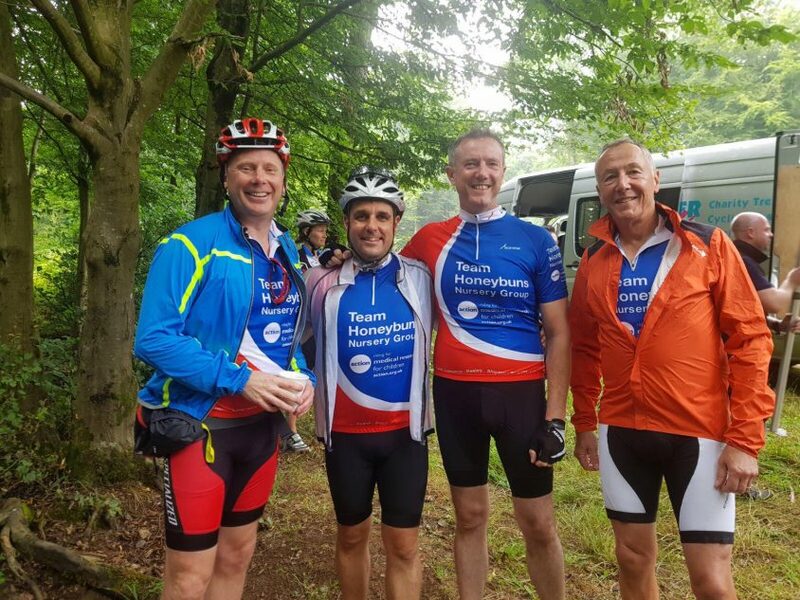 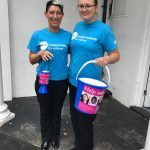 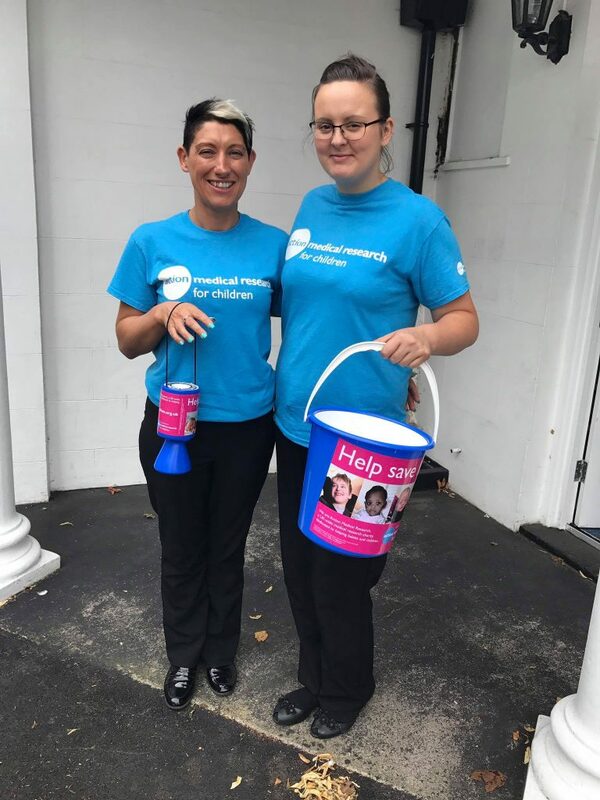 The Honeybuns team will continue to raise money for their charity partner over the next 12 months with a programme of on-going activities and fun events for the parents and children alongside Team Challenges, all of which are designed to work with the local community.